When it comes to skin conditions, the number of assumptions made are countless. One of the most misguided assumptions people make is that acne only occurs on the face. Some of the more rampant forms of acne often show up are back acne and acne on the chest. Known as Back Acne or colloquially called “Bacne”, this is a common skin condition where acne appears and spreads across the back. We tend to forget that hair follicles containing sebaceous glands exist not only on our faces but across our backs and chest too. It is excess sebum or oils produced in these glands which, when infected or clogged, form pimples and other common forms of acne vulgaris(1). Blackheads, whiteheads, red spots, and even pus-filled pustules and papules on the oily skin are all signs of acne on the back. Those prone to oily skin types are generally more prone to developing back acne, even more so if they are facing hormonal changes. The best way to control any form of acne is to ensure your skin is being treated well and this means maintaining hygiene and keeping the skin clean of dirt, dead skin cells and bacteria that could clog and infect pores on the skin. Most common treatment for back acne is a topical treatment(1) containing salicylic acid or benzoyl peroxide, mostly over-the-counter medications that are known to control the sebum production. This, however, only applies to mild forms of acne, which are at their beginning stages. As the seriousness of the condition increases, it is always better to visit a professional, such as a skin specialist or dermatologist. Another path to go down in treating back acne would be taking oral medication in the form of pills. This is recommended for more serious, severe cases of acne which generally is characterized by cysts or nodules containing fluids. The pills may be antibiotics, provided to address the bacteria causing skin inflammation. They tend to work over a long period of time, so expecting quick results may be the wrong way to go about things. Since hormonal changes and fluctuations are major causes of acne breakouts, birth control pills(2) are sometimes prescribed to patients by dermatologists to have an impact on hormone production. However, since this tends to have an effect on ovulation, it may not always be recommended. Any harsher forms of medication tend to excessively dry the skin out, as well as have an extensive list of side effects, which some patients might feel overwhelmed by. Some daring patients have been known to give skin procedures an attempt, to get rid of back acne. Laser therapy and skin procedures vouched for by skin care centers and experts have been on the rise since people look for more immediate results and faster healing. However, these are on the riskier side of solutions. Chemical peels, for instance, have been around for a while and have been known to cure papules and even recurrences of blackheads and acne in general. When performed by a certified expert, it tends to peel away dead skin to reveal younger and healthier skin underneath. However, patients must take extra care of this skin to avoid any future occurrences of acne. One common procedure often opted for by people suffering from back acne is the draining and extracting of cysts(3). Although it sounds less tolerable, this is a safer method to address such severe forms of back acne, with the help of an expert. However, to avoid such extensive processes, we can follow a number of tips to avoid back acne as much as possible. Avoiding the applying of pressure to the back often keeps away back acne. And as for people with naturally oily skin, it is pertinent that they keep their skins dry but hydrated at all times, with the regular cleansing of the skin on your back. Sometimes we are misguided that all medication is good and nothing but good. But little do we know that some drugs which may contain androgens have the power to further trigger the production of sebum, indirectly leading to more acne. Hence you should watch what medication you take and opt for alternatives. By following such simple tips, we can usually make sure that we keep back acne at bay. But it is completely normal to get them at some point in time. It is important to remember that stress only ever worsens all forms of acne. So it is recommended that you stay calm and address the issue when it shows up. Struggling with severe back acne problem? Get the quickest and best solution with us. 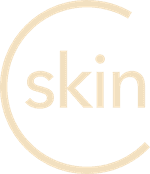 Download the CureSkin App now by clicking here. It’s easy, fast and affordable!